Sign up and receive Property Email Alerts of Clusters to let in Lonehill, Sandton. This beautiful modern open plan design with triple volume in the lounge, dining area, offering plenty of light, is very clean and airy. A Quaint garden with pretty flower beds and lush green lawn. Perfect and private to enjoy the patio and appreciate the beautiful scenery. A built-in kitchen with space for two appliances, dark wooden cupboards that flow onto the dining area. The wooden laminated floors have recently been installed. An open plan dining and lounge area that opens onto a covered perfect to create an entertainers room as it opens onto half open half covered terrace that one can enjoy sundowners and appreciate the fantastic views of the estate. This trendy modern, and exquisite apartment is situated in the popular upmarket Lonehill Village Estate. Lonehill Village Estate prides themselves with top amenities for adults and children. 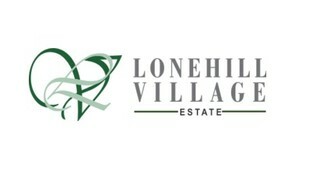 They are famous for their top security and on site management, Lonehill Village estate is a very sought after Estate due to its amenities and community lifestyle it offers. The estate offers 3 amazing pool areas, a clubhouse with an excellent restaurant, jungle gyms, tennis court, a Wellness centre, hairdresser, gym, Doggy Park, an excellent kiddies playgrounds with fantastic equipment including a race track. This estate has the most exquisitely manicured gardens, walkways and cobbled streets. Sign-up and receive Property Email Alerts of Clusters to let in Lonehill, Sandton.